FEATURE — Pancho & Lefty’s Mexican Cantina, one of St. George’s longest-running restaurants, has been serving delicious Mexican food for more than 30 years. General manager Jose Valdivia says Pancho & Lefty’s faithful customer base extends as far as Salt Lake City, Las Vegas and beyond. “It’s a good feeling to have people that come from so far and enjoy the food whenever they come in,” he says. Combination fajitas platter – Steak and chicken topped with onions, mushrooms, peppers, cilantro, pineapple and lime, and served with a side of rice and beans. Shrimp enchiladas – Flour tortillas filled with marinated shrimp, cheese, guacamole and onions, topped with house salsa, melted cheese and sour cream. Chili verde burrito – Tortilla filled with beans and chunks of marinated pork, smothered in cheese and chili verde sauce. Ride along with Sheldon and his left-hand man Pedro as they try out Pancho & Lefty’s in Episode 27 of “What’s on the Menu” in player above. Pancho & Lefty’s also offers a selection of soups, salads, appetizers and desserts. A kids’ menu with smaller portions is available top those under 12 or over 60. The restaurant’s bar offers various beverage options, including a speciality drink each month. “We night do a margarita with jalapenos or something random. It’s good stuff,” Valdivia says. Valdivia says in addition to providing a pleasing atmosphere and delicious food, the restaurant strives to make both customers and employees feel like they are part of a family. What’s on the Menu: Pancho & Lefty’s | Brought to you by Camping World. 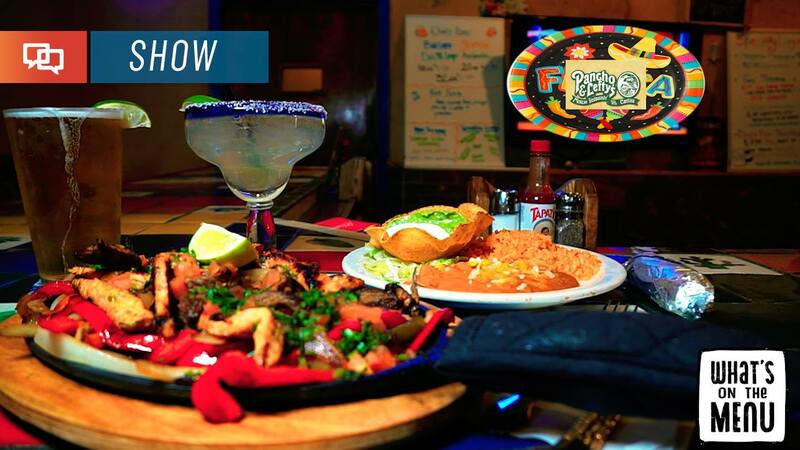 Pancho & Lefty’s | Facebook | Location: 1050 S. Bluff St., St. George (click for map). | Hours: Open at 11 a.m. seven days a week. Closes at 10 p.m. Sunday through Thursday, 11 p.m. Friday and Saturday. | Telephone: 435-628-4772. They only pay their employees 2.15 an hour! ?